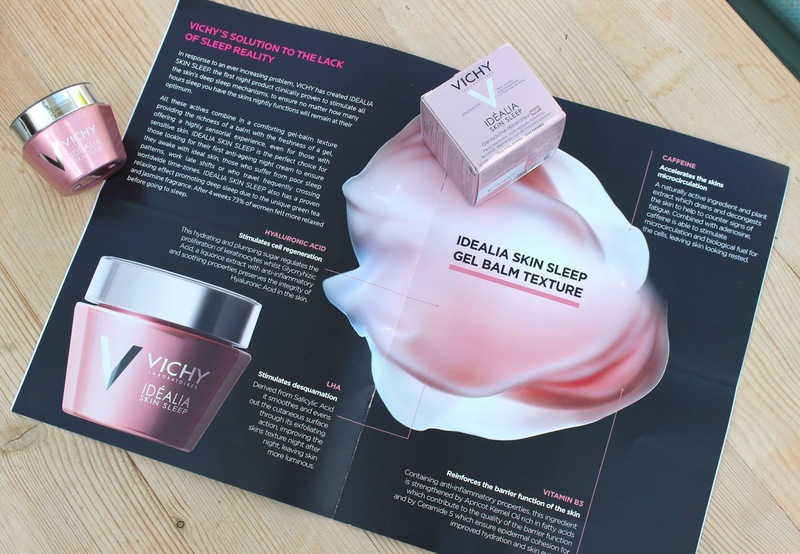 BEAUTY & LE CHIC: Bad Sleepers Rejoice, Eight Hours in a Jar? Bad Sleepers Rejoice, Eight Hours in a Jar? I don’t know about you, but if I don’t catch enough zzzz’s, it written all over my face! No amount of makeup can conceal a bad night’s sleep. 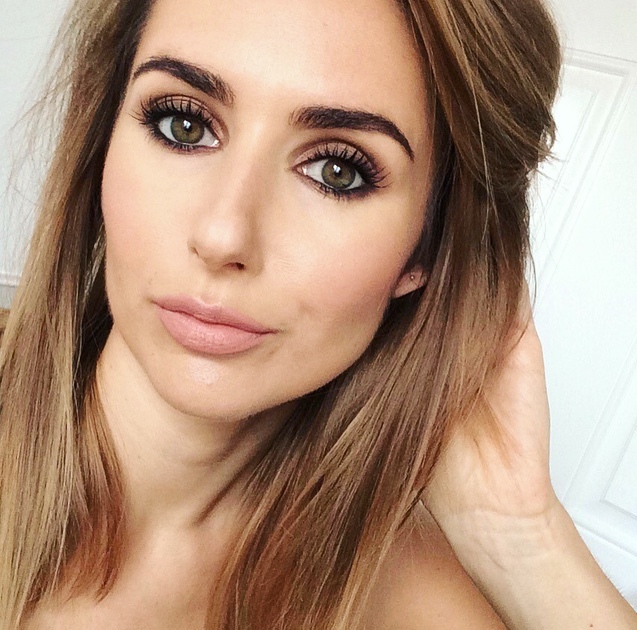 Skin repairs itself whilst we sleep, if you’re not getting enough, especially good quality deep sleep, it will inevitably lead to tired, dull-looking skin. Mothers, travellers, shift workers, insomniacs, even party animals – you know what I’m talking about. Vichy to the rescue? 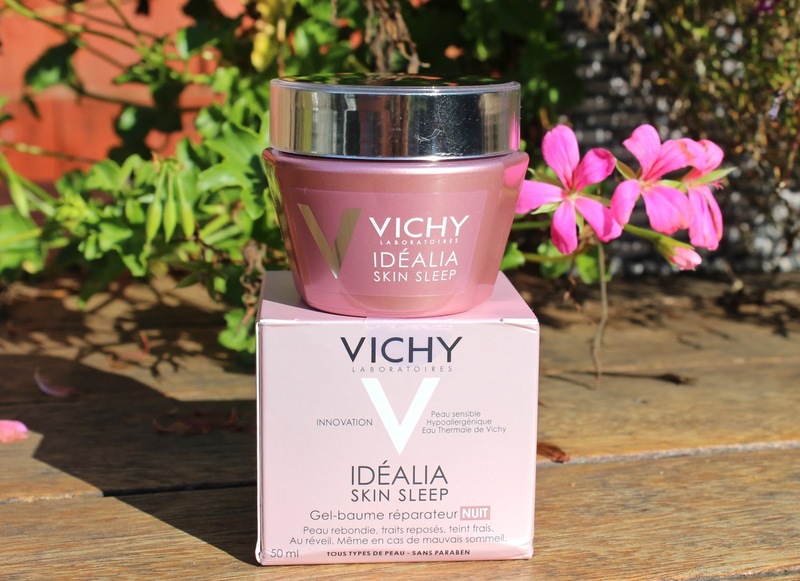 Idealia Skin Sleep Recovery Night Gel-balm* is the first product clinically proven to stimulate all the skin’s deep sleep mechanisms – so no matter how many hours sleep you have, the skin’s nightly functions will remain at their optimum. Essentially, it cheats your face into thinking you’ve had the full eight hours, when you were really bingeing on Netflix. The unique gel-blam texture is a treat to the senses. It’s thick and rich like a balm, but fresh like a gel. It smells divinely relaxing and it’s pink! 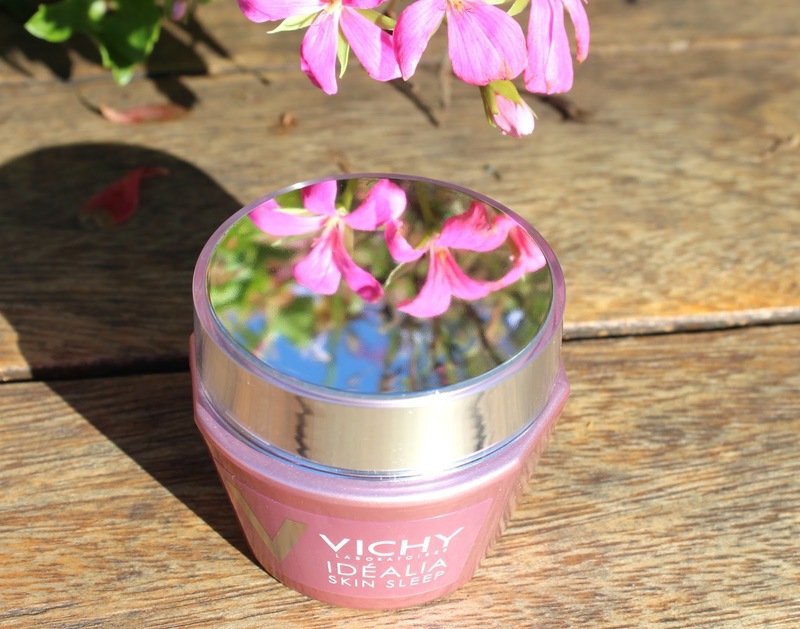 I’ve been applying it at bedtime - it sits there looking pretty (in pink) on the bedside table so I don't forget to use it and there's a mirror on the lid so you can see what you're doing - pretty nifty idea Vichy. I can highly recommend working it in with a good old facial message - a couple of minuted bliss before bed. For me, I think of it more like a bedtime mask. It sinks in well, so your skin won’t feel wet or claggy, buy it’s super rich so you know it’s there! It’s deeply hydrating and gives my skin an instant plumpness. When I wake up, my skin feels more hydrated and less lacklustre. And now that the winter is creeping in, I’m appreciating the TLC even more. I’m not saying this cream will solve your sleep woes, but the relaxing blend of green tea and jasmine help to promote deep sleep. And once you are asleep the cocktail of goodies will make damn sure they repair and regenerate your dull, tired skin. I definily need this pot at home! Absolutely love your blog, you've inspired me to get some Vichy!